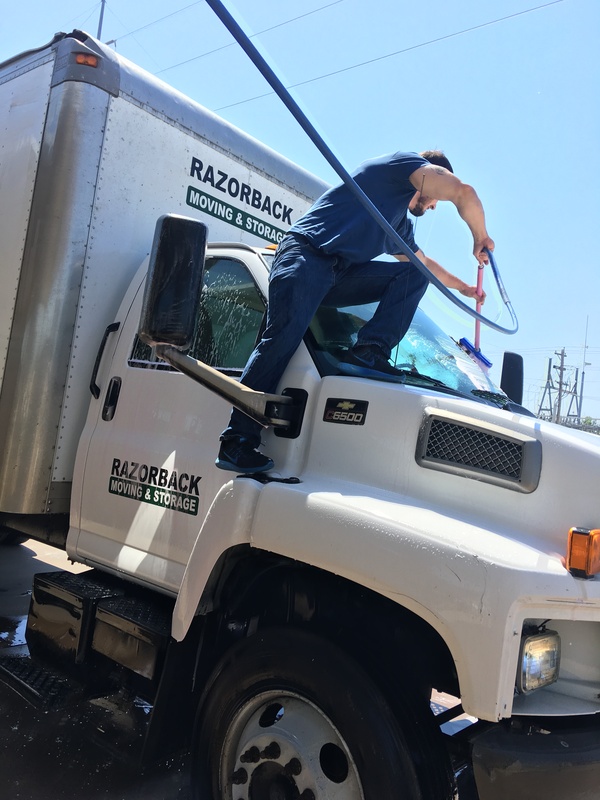 Within the moving industry in Arkansas (by State law) movers are required to provide their customers with four options for moving coverage in case of damages to household goods. 1. .60 cents per pound per article coverage from the mover – minimally required free coverage. 2. Extra valuation coverage from the mover for the entire depreciated value of the shipment. 3. $6.00 per pound estimated value for computing extra valuation coverage from the mover. 4. 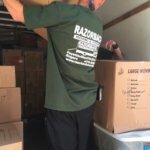 Moving Insurance from a licensed insurance company. People often confuse the concept of valuation for their household goods with thinking that it is an insurance policy. 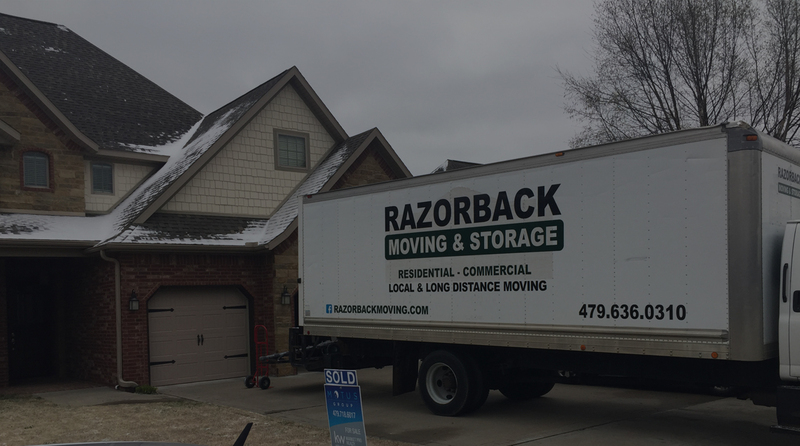 Yes, Razorback Moving is fully licensed and insured, but valuation is not insurance! Valuation is an estimate of value, as determined by the customer, of how much your goods are worth. It provides that, in the event of lost or damaged goods, the way in which those goods are recovered and how you are compensated for them. 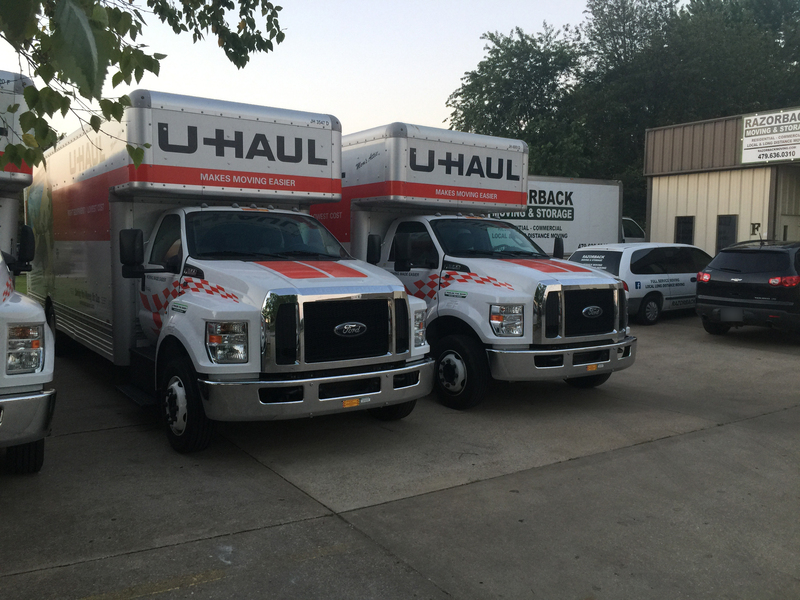 This option is automatically provided by the mover at no charge if the customer does not want to pay for any of the extra coverage options. 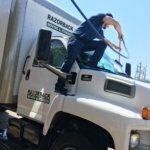 This is the mover’s free coverage option. It means that should any damage or loss occur to any of the items in the shipment due to mover’s negligence only, the mover is only obligated to weigh the damaged or lost item and reimburse the customer for that item at the rate of .60 cents per pound. The customer can then keep the item and fix it or leave it as is or dispose of it as he sees fit. 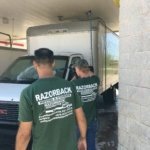 The mover does not have to fix or replace the item, he is only required by law to pay .60 cents per pound for it..
One customer that opted for this coverage thought that since his shipment weighed about 10,000 lbs. He had $6,000 of coverage for any item or items in the shipment but he was wrong. He actually had only .60 cents per lb. coverage for each item, not $6,000 of coverage for each item. .60 cents per pound is this coverage per item only, unless of course the entire shipment was destroyed in a truck accident, then it would become $6,000 coverage for the whole load. This coverage is for mover’s negligence only with a cash out for an irreparable item at depreciated value.This is no-deductible coverage from the mover (not from an insurance company) for damages to customer’s goods only if the damage was a direct result of mover’s negligence. It is not insurance from an Insurance company but in some ways it acts like insurance. 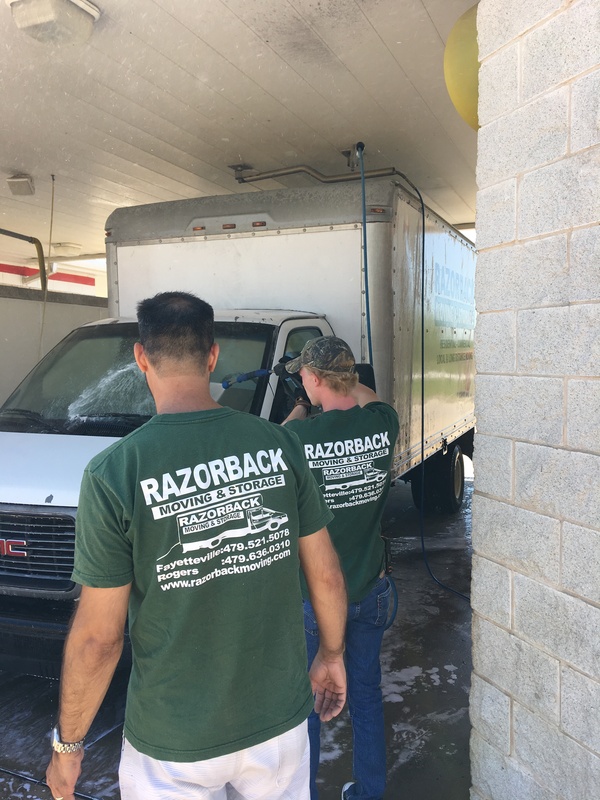 When the customer pays the mover for this option he obligates the mover to repair or cash out at depreciated value (not replacement or full replacement value) any item or items damaged by the movers. This option does not, in any way, cover acts of God, insurrections, etc. – it is only for damages due to mover’s negligence. Also not covered under this option would be – inherent vice in the item. For instance, an antique that is so weak that even when the movers are correctly handling it with normal moving pressures it breaks or crumbles in the mover’s hands. The inherent vice within the weak antique makes it not eligible for this coverage. Also the nature of pressboard/particle board/engineered wood “ready to assemble” has been proven to be inherently unable to hold up under normal moving pressures so all Movers disclaim any responsibility for items made of this material. Finally, items in boxes packed by owner (PBO) are not covered under this option. Poor or improper packing on the customer’s part often causes internal damages to items in boxes which are not due to mover’s negligence. Consequently, normal handling of boxes can cause damages to items within them, which are not the mover’s fault. 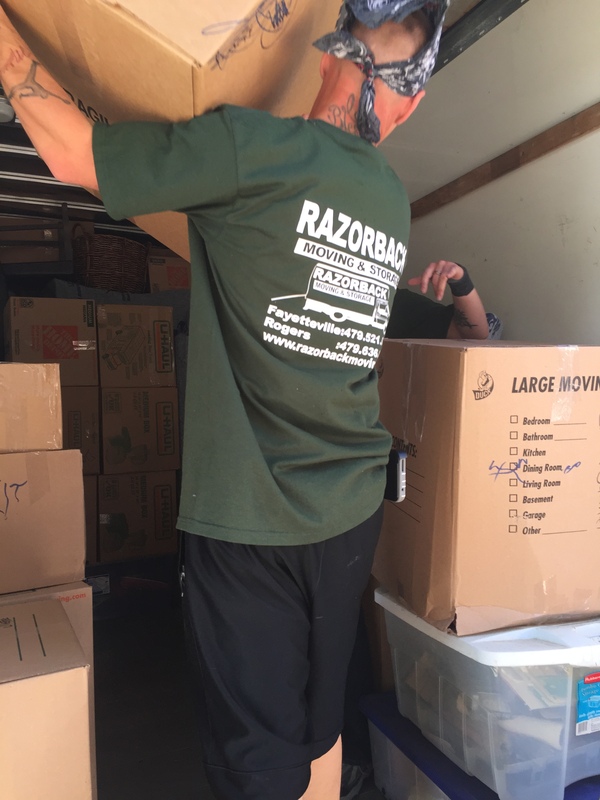 Since the mover’s personnel did not pack the items in the box, the mover does not know what is in the box nor if it was correctly packed. 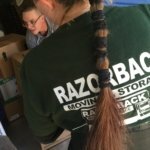 So the mover is not liable for items in PBO boxes. To exercise this option the customer must declare the complete depreciated value of his load in his own handwriting on the Mover’s Bill of Lading (declaring less than the load’s complete depreciated value will reduce the mover’s liability proportionately). Declared value above .60 cents per lb. per article must be raised to at least $6.00 per lb. for the weight of the shipment. Also many times the customer may want to declare the value of his goods as the value that has already established with his homeowner’s or renter’s insurance. Usually this is much too high because usually this is his household goods complete replacement value so this value should be reduced to depreciated value. When the job is finished the customer pays the entire moving bill + the computed valuation coverage charge and then the coverage from the mover takes effect. A customer with a damaged piece sometimes might want to hold back some or all of his payment to assure himself that the mover will fix or replace the damaged item. With disreputable movers, sometimes this seems to be a wise and necessary course of action. 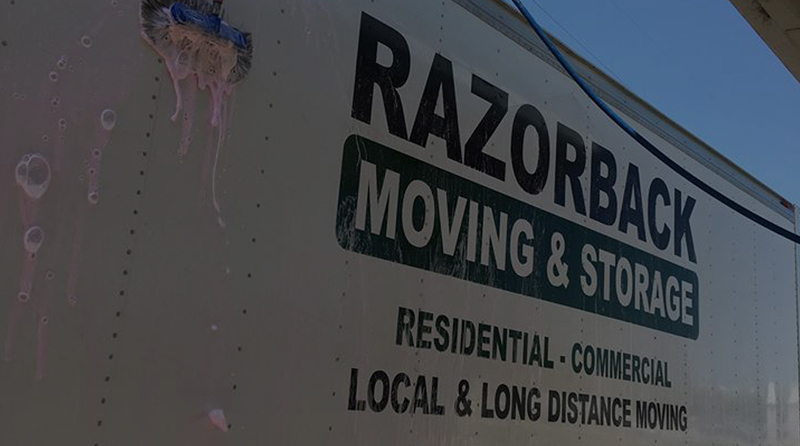 However, with Razorback Moving Company, payment of the entire bill is absolutely necessary in order to activate any coverage. Since the last item on the Bill of Lading is the valuation coverage charge, shorting payment on the bill totally negates the coverage because all shortages are taken off of the bill last item first! The proper and fair procedure is for the customer to first pay for the services rendered and for the coverage promised by the mover and then for the customer to officially notify the mover by letter of a claim and then for the mover to quickly repair, replace or settle the claim or turn it over to his insurance company to be settled according to the regulations of the Commerce Commission. 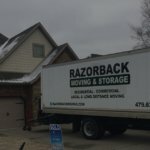 Should damage occur the customer is required to send the mover a letter describing the damage after the entire move is done. The customer may also note on the Bill of Lading the damage but this does not negate the need for a letter to be sent to the mover in some reasonable period of time. Once the mover receives the letter a claims person will contact the customer for settlement of this claim. Option 3. 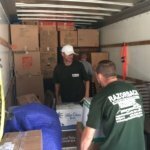 $6.00 per pound estimated value for extra valuation coverage from the Mover. There are occasions when a shipper wants the value of their shipment covered for more than .60 cents per lb. per article but for one reason or another they are unable to establish a declaration of value. 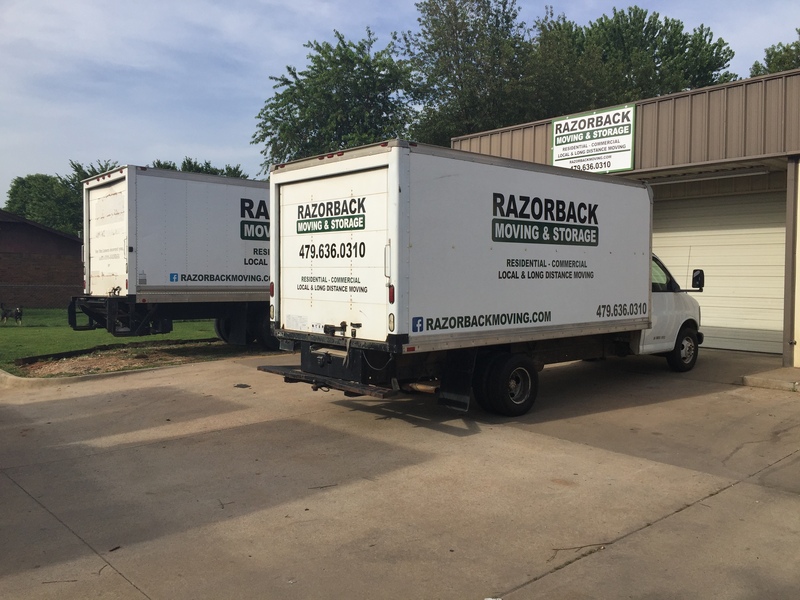 In the moving industry $6.00 per lb. for the weight of the shipment has long been established as the minimum value of household goods. By estimating the weight of the shipment (or by actually weighing the shipment on the truck at a truck weighing facility) and multiplying that weight by $6.00 per pound, a value for the shipment can be established. Once this value is set it can then be used in option 2. to compute a valuation coverage charge (see option 2). Option 4. Insurance from a Licensed Insurance Company. 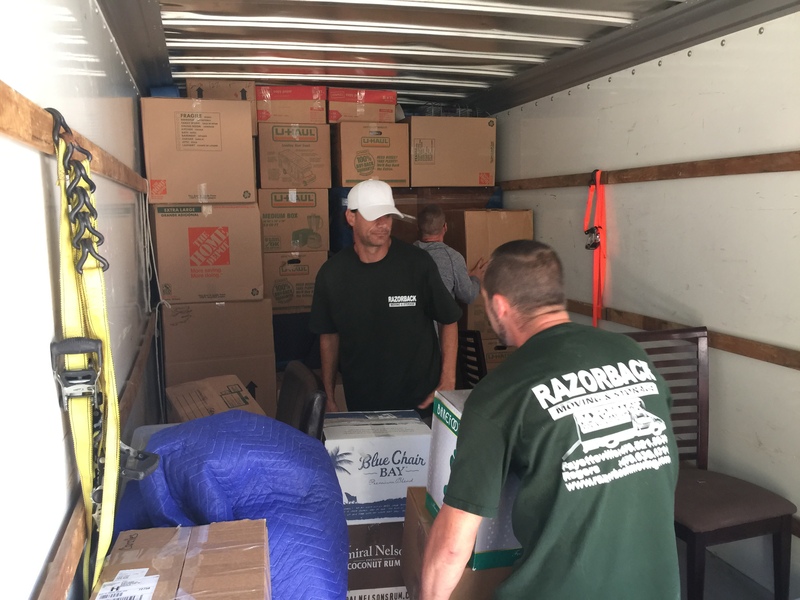 The State of Arkansas allows movers to route their customers to a licensed Insurance company to insure their household goods while they are being moved. The customer normally obtains this coverage directly from the insurance company that is recommended. 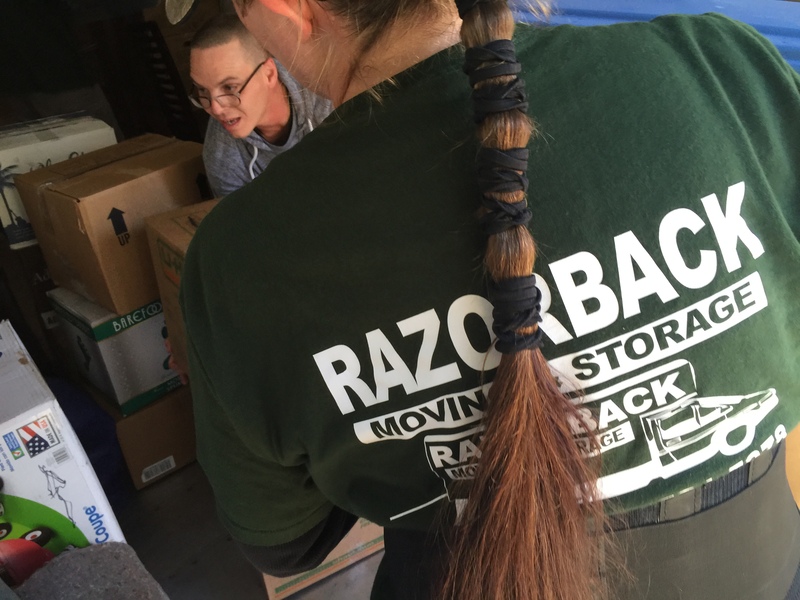 Razorback Moving Company can make recommendations. If you purchase this coverage, the mover remains liable for the amount up to 60 cents per pound per article; but the rest of the loss is recoverable from the insurance company up to the amount of insurance you purchased. 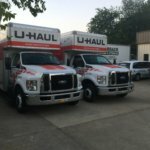 If you wish to purchase additional insurance we recommend Moving Insurance.com. There you will find details about their pricing and policies. 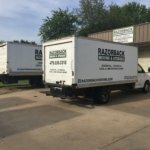 When a customer opts to use a Licensed Insurance Company for their coverage then any claims are to be routed directly to them, not to the mover. Even the .60 cents per lb. per article automatic coverage goes to them. All of the mover’s liability for damages becomes accountable from the mover only to the Insurance Company. The customer just deals with the insurance company if there is any household goods damage claim. 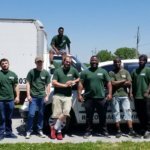 A Licensed Insurance Company also provides our customers with full repair coverage for real estate property damage and our movers with Workmen’s Compensation Insurance.